If you have a very busy home, chances are you need to cleanse its energy often. The comings and goings of family and friends tend to leave a buildup of chaotic energy that can turn sour. This is especially true during the holiday season. You can prevent sour energy by regularly using scent magick to cleanse and subdue chaotic energy in your home. If you are like me you want simple pleasant methods for making your home calm and inviting. 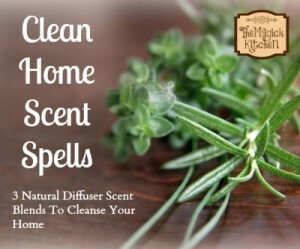 There are also times when burning herbs to cleans your space is not an option. 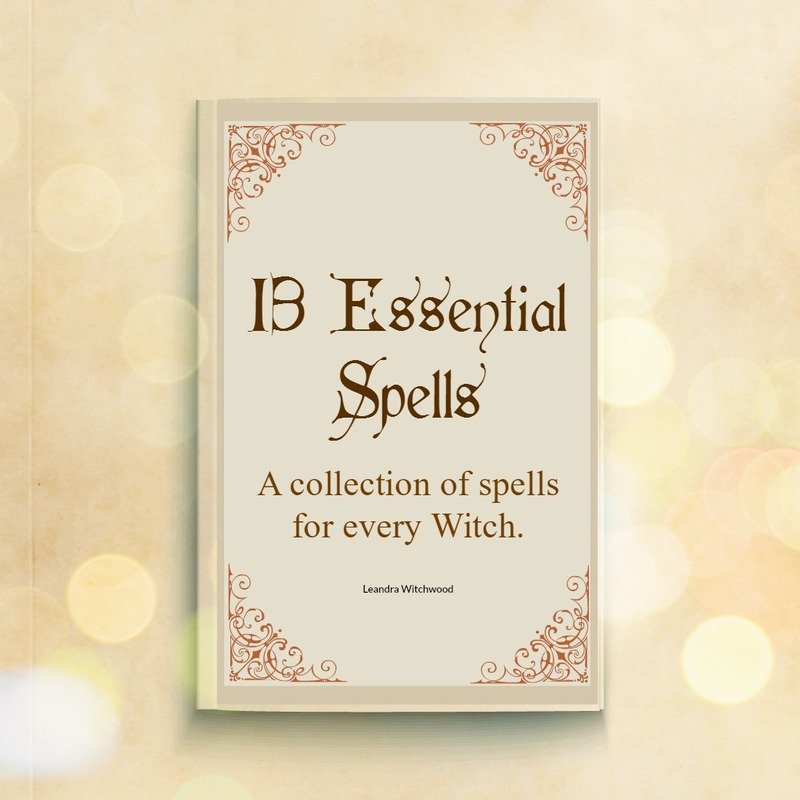 Over time and with a little trial and error, I have found a few effective scent blends and spell work for this task. The spell work I will share with you uses a diffuser pot (or a pot on the stove) and a blend of natural scents that will infuse your home with a clean and pleasant fragrance. I often use my diffuser to refresh and fragrance my home instead of commercial chemicals. To me, this just seems logical. I want to limit the number of harmful chemicals in my home that will trigger allergies, irritation, and long-term damage. It also turns out that this habit is effective for spell work. In each of these recipes, you can use an electric or candle diffuser, a pot over low heat on the stove, or a double boiler on the stove. Each is effective and require minimal attention. Remember to be safe, do not leave your home or leave these devices unattended while they are heated. Accidents happen so remember to use caution and be safe. Use this spell in each room of your home as often as you feel necessary. There are 3 recipes here for you to try. 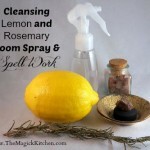 After smudging I then use this cleansing spray & spell to refresh and deepen the cleansing process. To make the rosemary water bring 2 cups of water to a simmer and add dry rosemary. Turn off the heat and steep for about 5 minutes. Allow to cool. In your spray bottle all the ingredients. Shake before use. Spray each room or your car to dissolve and drive away negative energy. The imagery I keep in my head is at first murky dark clouds are welling up in the area where I am working. Then as I spray each corner, surface, and the air - the clouds of negativity are banish and they disappear. As you spray chant or sing the following words. Destructive energy, is sprayed away. Unkind energy is gone today. Negative energy, is sprayed away. Harmful energy is held at bay. Bring clarity to my dwelling. Conduct this spell in you home, work area, and car when ever you feel the need to cleanse negativity from you life. 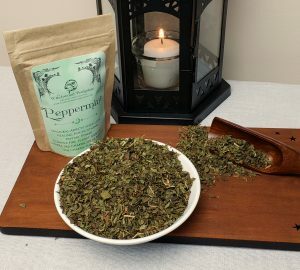 Peppermint is one of my very favorite scents. It is also very strong. 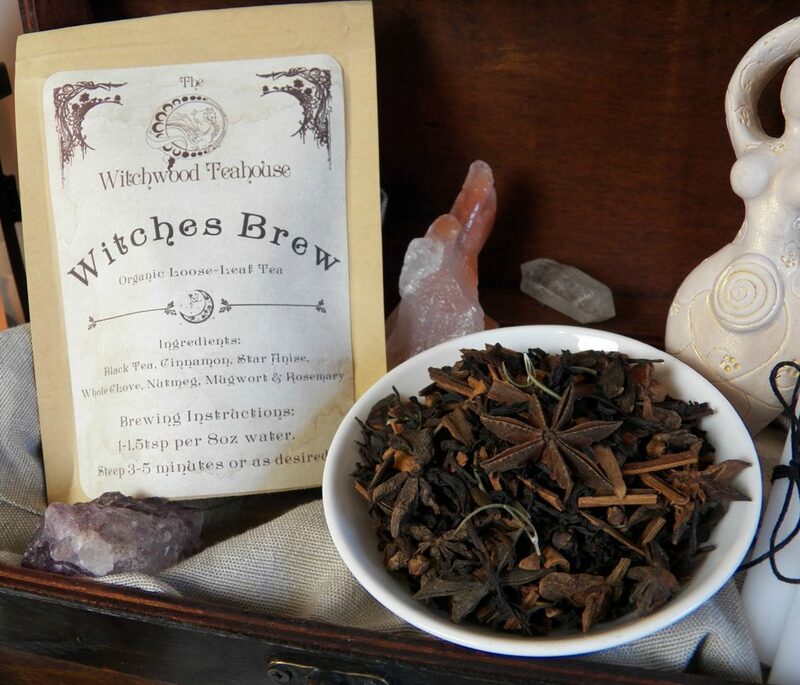 This blend will fill my entire home very quickly and easily. I find it refreshing as well as stimulating. 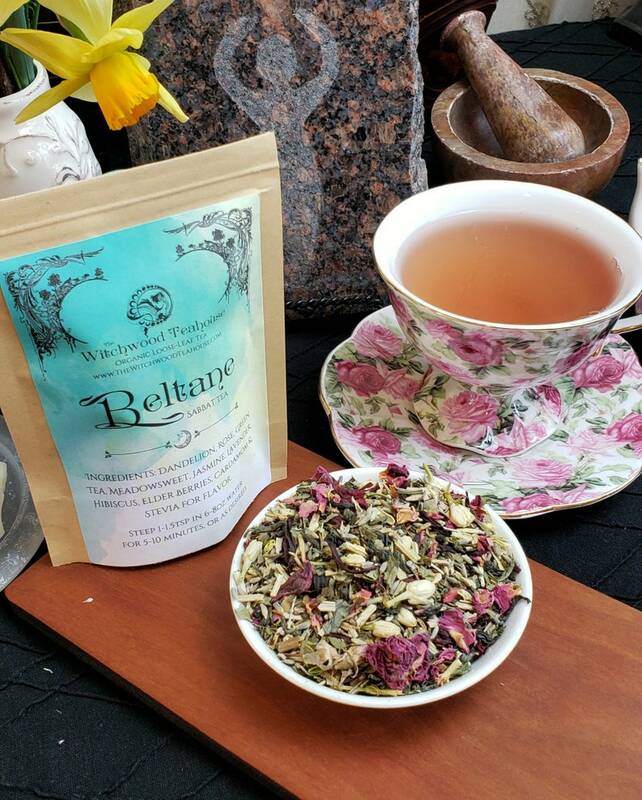 This is a good blend for a sluggish home where you need calm clean energy. Add water to a small sauce pan and bring to a boil. Turn off the heat and add essential oils. Carefully pour into a diffuser pot and allow to fill your home with cleansing fragrance. Add water to the pot every 30 minutes or so to maintain a good water level and prevent drying out or burning. I would not allow this mixture to steep longer than a few hours as the spells energy will dilute as time passes and as more water is added. Gather your ingredients and supplies in your kitchen. Make sure your pot is clean. As you pour the water into your pot for heating pay attention to the clean clear water and how refreshing and cleansing water is by nature. If it helps think of a time when you took a shower after working all the garden or in another very sweaty dirty situation. Think of how you felt after you washed away all the dirt, sweat, and heat from your labor. Hold on to that feeling of refreshment and clean. Before you add your ingredients to the water, smell them. 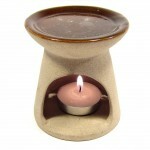 Embody their fragrance expand the feeling of clean to your home. Allow the pot and scents to do the rest. Each time you come near the pot to add more water, breathe in the cleansing fragrance and once again embody the feeling of clean energy. I use this blend when my home is extra tense or there is a lot of stressful energy floating around. When you have family coming over that is especially aggravating this is a great blend to use to fragrance your home while they visit. I would love to read and try all your suggestions. I am working on more posts related to hearth and home. I have an obstacle removing recipe and spell just about ready to post. If you have anything specific you would like me to address or review I am glad to do it. Just let me know your specific thoughts. I would love something for getting rid of negative energy and sickness. My little boy has asthma and allergies. Everyone has been passing sickness around. I clean with lysol to get rid of germs. Any help would be great. Feel free to add sugar. It works on my son and sister. Thank you for such lovely recipes! These are particularly helpful with an annoying relative who can’t stand the smell of anything that is positive… I’ve used the lavender potion to not only chill out hyper folks in My home, but also in My office and to help insomniacs! Much appreciation! Merry Meet Donna! Welcome to The Magick Kitchen! When you see “C” in any recipe, it stands for Cup as a form of measurement. In this case, it will be 8 fluid ounces times 2. I love your request for a recipe that targets a specific need. I have found that the following essential oils are helpful in relieving anxiety and depression: Bergamot, Basil, Clary Sage, Frankincense, Lavender, Marjoram, Palmarosa and Ylang Ylang. I will consider creating a whole blog post on this subject. I seems that it could be very helpful.